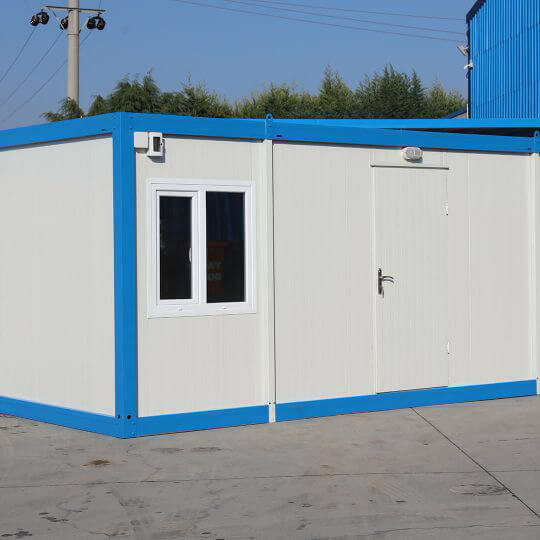 Containers which create a comfortable life spaces under all climates gain much more functional features with the new technologies. 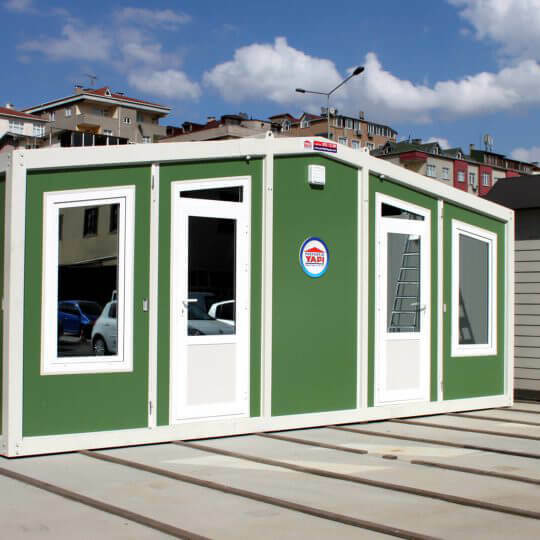 Container models produced by Prefabrik Yapı A.Ş. 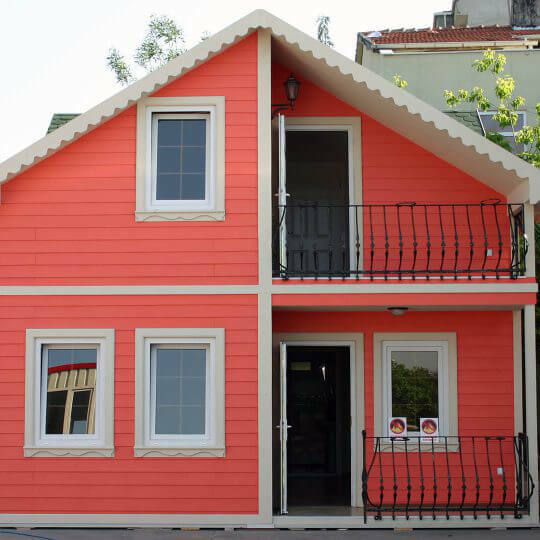 with Hekim Holding guarantee and experience get credit for their robust structures and comfortable designs. Folding container varieties that can be used for many purposes and produced in different sizes stand out with their practical use. 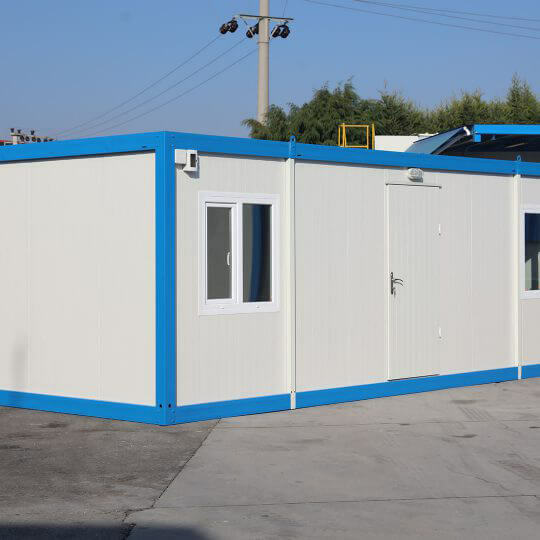 Folding container varieties that can be manually installed are designed in detail as a system of interlocking components. 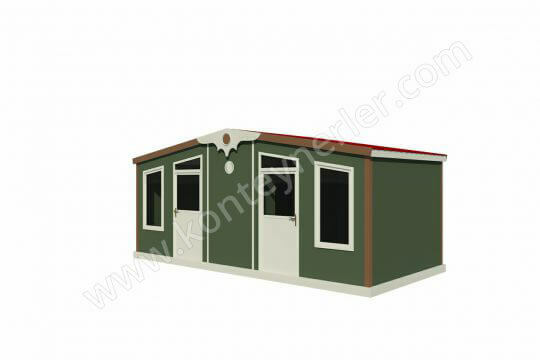 The models which have folded size of 3.00 x 7.00 m length and 40 cm height or 2.40 x 6.00 m length and 40 cm height reach to 3.00 x 7.00 m length and 2.40 m height after installation. 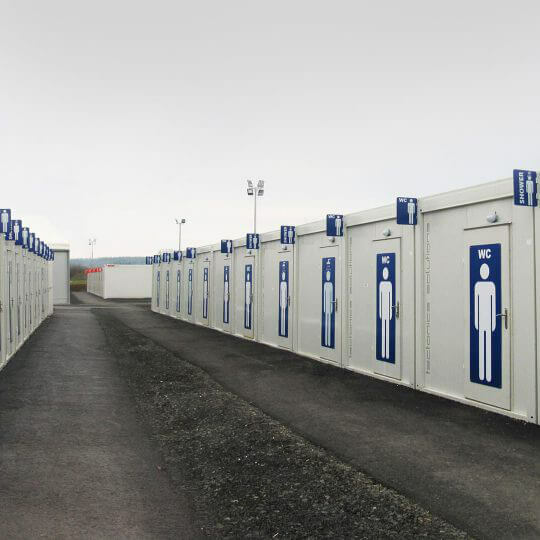 Folding containers also offer shower module alternative that can be added separately. Robust and durable products made of high quality materials provide extra comfort and safety with anti-flammable and water resistant HekimBoard brand fibercement façade coating on the ceiling. 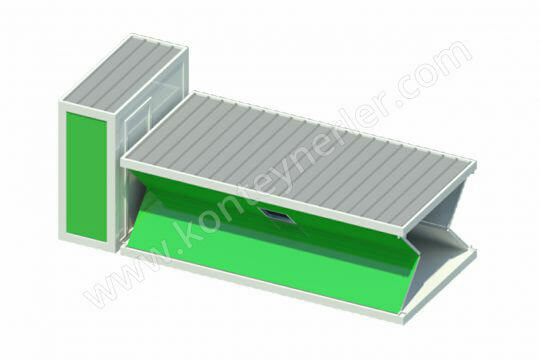 Folding containers developed and produced as an outcome of R&D and P&D investments by Prefabrik Yapı A.Ş., leading and innovative company of light steel structure industry, can be easily installed in few minutes. 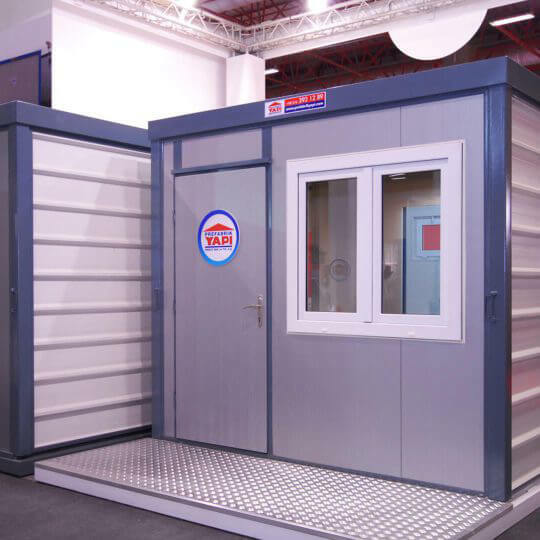 The models which do not require expert support enable building of comfortable life spaces at maximum speed. 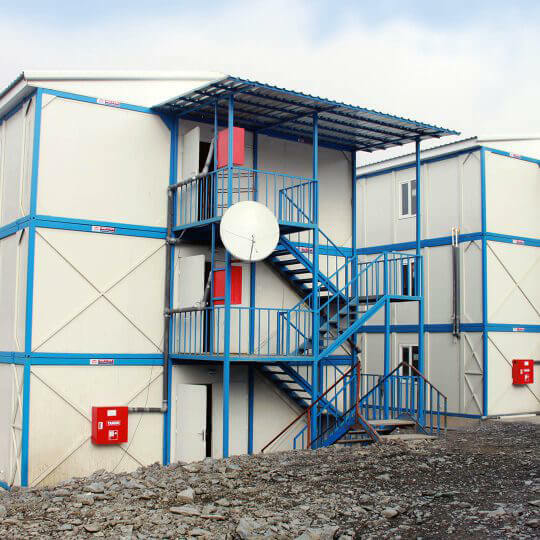 Folding containers stand out as a practical accommodation option that can be quickly installed and lifted in earthquake zones, high refugee population, construction sites and many other areas. 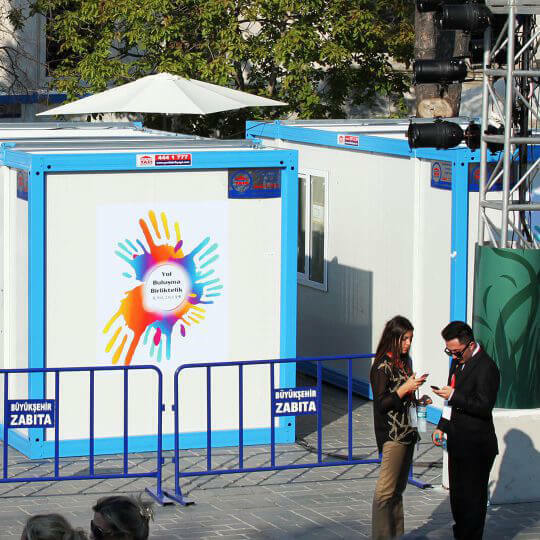 They easily provide shelter, healthcare and educational functions particularly during natural disasters, humane crisis periods. They also stand out as a quick option for military needs. 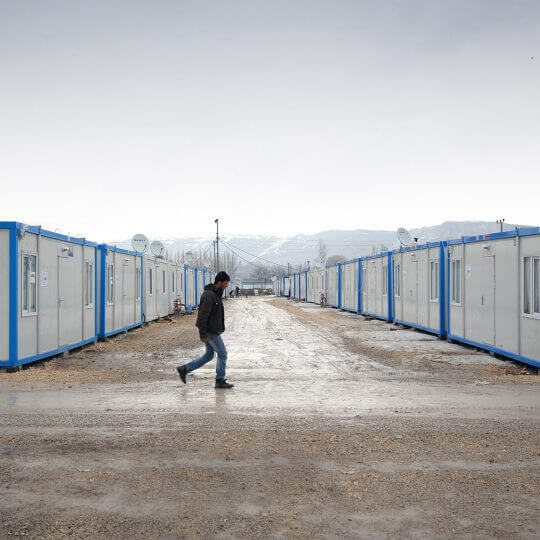 14 containers can be easily transported on a single truck since they take minimum space in folded form. 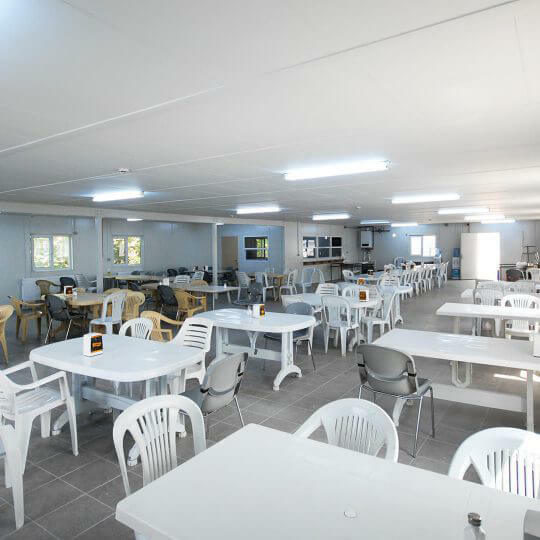 Sanitary and electric installations are delivered ready for use within the professionally designed modules. Kitchen cupboard with sink and the sanitary ware are pre-assembled and they do not require expert support or take up time. 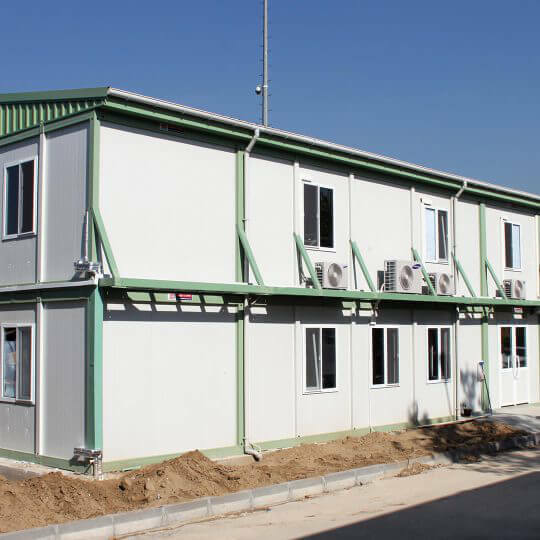 The products which can be transported with pre-assembled door and windows as well as floor and ceiling finishing are installed using interlocking system, and prepared for use after activation of electric installation. Installation is mostly completed when upper frame is lifted using a crane for connection of corner beams. Once the cupboard with sink is placed inside the module, it is ready for use.